More press, and it is all good press! 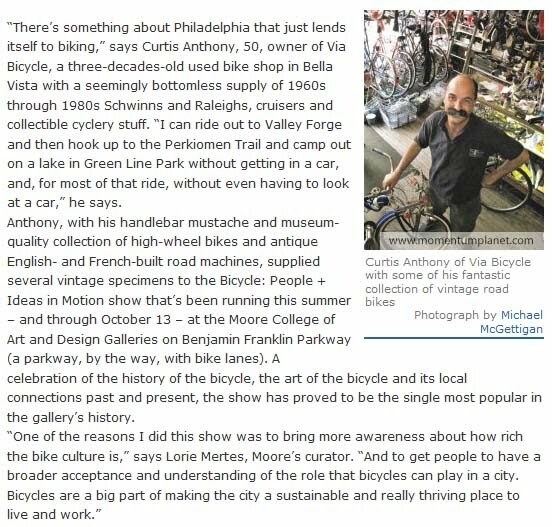 Here is an article written by long time bicycle commuter,collector, customer, and friend Steven Rea about bicycling in Philadelphia. He mentions our shop Via Bicycle, along with friends R.E.Load messenger bags, Fabric Horse, and Trophy Bikes.